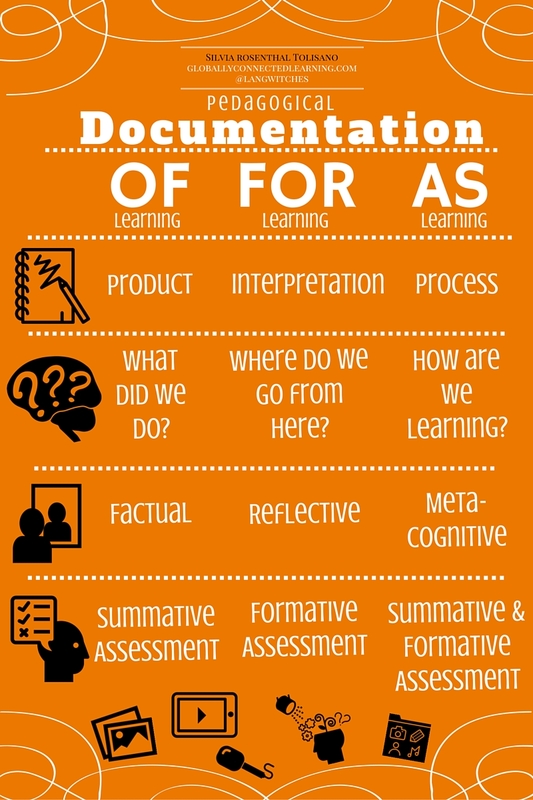 Documentation as a teacher, as a student, as learners can take on many different forms. In an effort to make my thinking and conversations with Andrea Hernandez, Silvana Meneghini, Chic Foote and Angela Stockman around the differences visible, I created the visuals below. Now, it is in YOUR hands to continue the process of documentation and enter a feedback loop. Does the above make sense to you in terms of documentation of/for/as learning? Do you need clarification? Do you have push back? Additions? Added value? 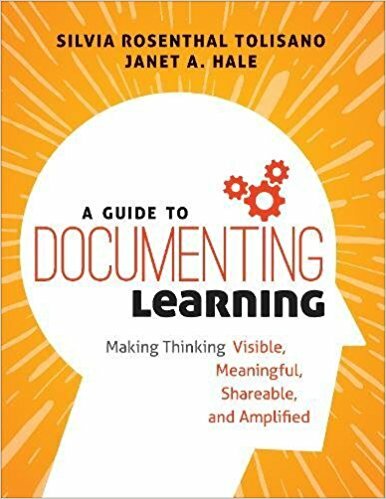 I challenge you to not only look at the information, but actively participate in the process of Documentation AS Learning. Your visuals always blow me away. Beautiful, and you are pushing my thinking a bit. Do we read the document left to right or from the top to the bottom, down the columns? 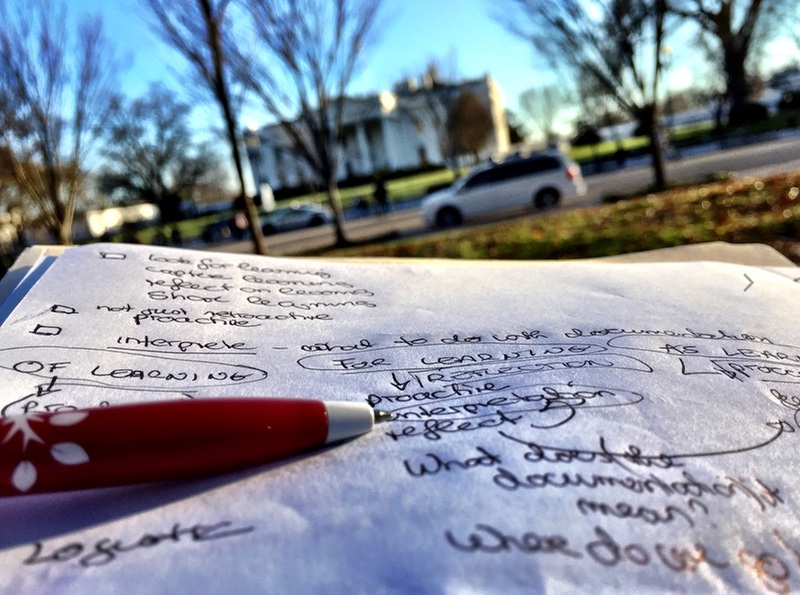 When the documentation is OF learning, is it always of a product? Does it have to be factual? Does it have to be summative? I think the visual can be read horizontally and vertically. 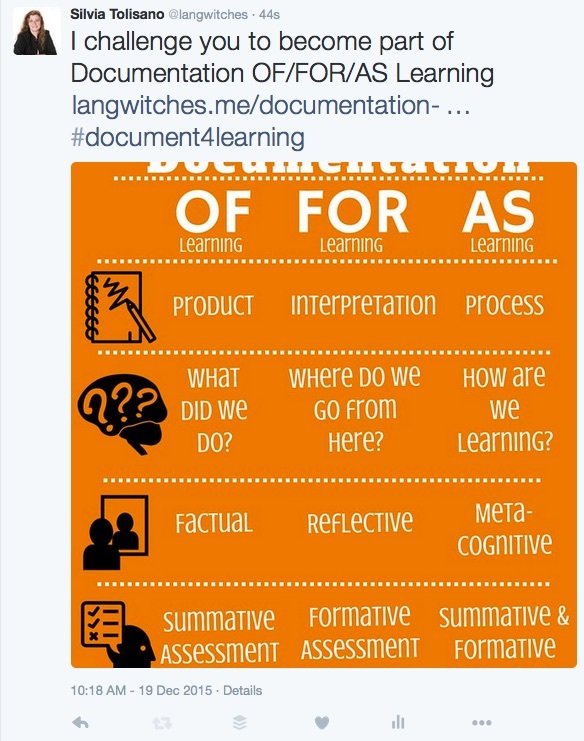 I am always careful with “definite” answers… so no…documentation OF learning might not always be a product, etc. With the visual (and still in the beginning phases of wrapping my mind around), I was trying to make the distinction between OF/FOR/AS as distinct/sharp as possible for awareness purposes. On a side note…What does this mean for that component of documentation, when NO ONE leaves feedback for the learner… Is the blogging platform not a good forum anymore? I know that when I work with writers face to face, they struggle to provide quality feedback to one another. They tell me they are uncertain if their perspectives will be valued, if what they say will matter, and if they will make fools of themselves. It’s hard stuff. I wonder if this plays a role. I also think that it takes a lot of time to provide thoughtful feedback, and people struggle to find it here. I don’t know if blogs are the best place to exchange feedback, but I will often share links to mine with those I am requesting feedback from, and we’ll have the conversation off site in another venue or face to face. I also wonder if the number of education experts who blog with the intention to inform rather than learn shapes the culture quite a bit. Perhaps readers struggle to find the request for feedback as sincere as it is when the work is already thoughtful, polished, and beautifully presented? Especially when so many are simply sharing their work so readers can consume it and use it. Your clarification here helps me a great deal. The fact that it can be read horizontally or vertically aligns with my experiences so far. There are varied entry points, purposes, tools, and processes that we use for documentation. You capture all of that well, and you define it succinctly. I am struggling hard against that part of my brain that likes order, though. Each element of the visual requires significant unpacking. 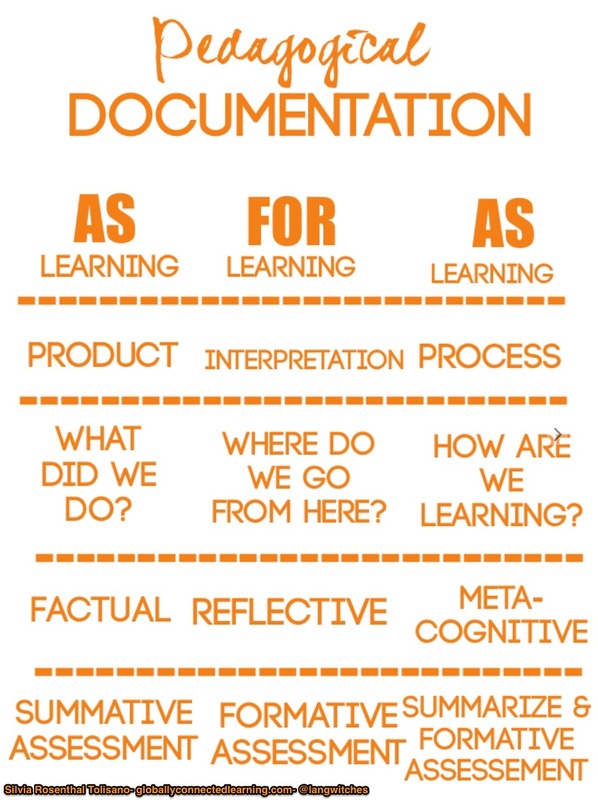 Distinguishing documenting of/for/as learning is a HUGE conversation in and of itself. What would happen if you created protocols that users could apply as they approach documentation work for each of those very different purposes? This beautiful visual is a great dashboard. I’m wondering if there are additional tools and resources that can help users unpack each of its elements and create a pathway for documentation that supports a specific purpose? I am wondering about the term ‘factual’ as well. Is it more a recount of ‘this is what I did’ as we all bring our own perspectives to our learning. I also like the idea of some sort of thought or routine to help tease this out. I used to think.. I know this because… Perhaps? I was wondering about the use of the word factual too. Facts are so definitive, and I agree with Stephanie–perspectives vary. Do you mean evidence-based? Anchored by samples or artifacts? That’s a great point, Stephanie. Very helpful! The visual makes a lot of sense to me and I agree that it reads horizontally as well as vertically. I like seeing the explicit links to the assessment process and a validation that documentation has a place in all three realms. I’m particularly intrigued by seeing ‘summative’ appear in both OF and AS. To the question about the word “factual”, although I think the word is fine, would the word “observable” or “tangible” be more palatable so as not to sound so definitive? I think “factual” has a stronger connotation to it, suggesting “right/ correct or Truth”. I’m making a connection here to the ‘ladder of inference” and I feel like I move up it as I move from left to right on the visual. This, to me, is an important part of understanding the process of documentation because we ALL bring assumptions and values and beliefs with us–so it’s very important to surface them (even challenge and debunk). 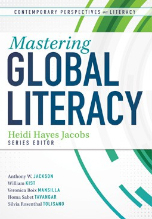 As Angela said, “readers struggle to find the request for feedback as sincere as it is when the work is already thoughtful, polished, and beautifully presented.” I know that is not useful feedback, but I want to say: Fantastic ideas and visuals. Thank you so much for your input, especially around the word “factual”. Could it possibly be that my “German” blood and language is coming through in a craving of wanting to use a more”definite” word? I am wondering. Nadia, you are so right, that all of us are bringing assumptions (intended and unintended). All of you felt it was too harsh of a word thought, which was also not my intention. I am leaning towards the word “observable” as Nadia suggested. Although the artifact a photo, for example, is still a photo…of learning… no reflections is included, no connections to our own assumptions is made… taking an image without annotation, without explanation is objective… until… you add your perspective… when we move towards FOR learning…. Does that make sense?